Qualified resellers, please contact Lancaster Soapworks to request a wholesale code or enter code at checkout. We have a number of products that are especially popular in the summer. 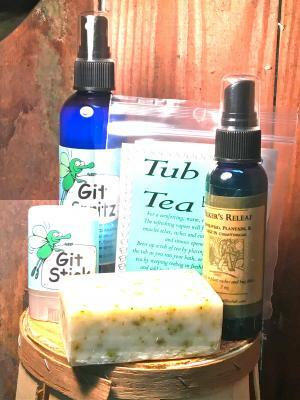 Natural bug repellents, soap that is helpful after exposure to poison ivy or other itchy situations as well as a tub tea that is lovely after a day in the garden.